The Joint Functional Component Command for Intelligence, Surveillance and Reconnaissance (JFCC ISR) is a subordinate command of the United States Strategic Command, one of the nine Unified Combatant Commands under the United States Department of Defense (DOD) and co-located with the Defense Intelligence Agency (DIA). In its relatively new status, it serves as the center for planning, execution and assessment of the United States military's global Intelligence, Surveillance, and Reconnaissance operations; a key enabler to achieving global situational awareness. In support of USSTRATCOM’s global ISR mission, JFCC-ISR develops strategies and plans; integrates national, DoD, and international partner capabilities; and executes DoD ISR operations to satisfy combatant command and national operational and intelligence requirements. Lieutenant General Vincent Stewart, USMC is the Commander, JFCC-ISR, and also serves as the Director of the Defense Intelligence Agency in this dual-hatted position. The Commander, JFCC-ISR is responsible for coordinating global intelligence collection to address DoD worldwide operations and national intelligence requirements. Established in March 2005 as a component of USSTRATCOM, and officially active on 4 November 2005, JFCC-ISR conducts planning to employ DoD ISR resources to meet national, departmental and combatant command requirements. 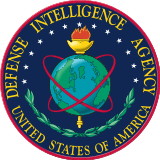 In coordination with the Defense Intelligence Agency (DIA), National Geospatial-Intelligence Agency (NGA), National Security Agency (NSA), National Reconnaissance Office (NRO), United States Joint Forces Command (USJFCOM), the military services and other mission partners, JFCC-ISR ensures the integration of DOD and national ISR efforts to satisfy combatant command and national operational and intelligence requirements. JFCC-ISR synchronizes the use of national, DoD, and allies’ ISR capabilities with employment of theater ISR resources and, when appropriate, with other collection activities, including human intelligence, measurement and signature intelligence, signals intelligence, imagery intelligence, and open source intelligence. JFCC-ISR planning includes an assessment of potential risks and intelligence gaps associated with proposed options, and recommends actions to mitigate risks and gaps. When options involve use of theater ISR assets, JFCC-ISR communicates with theater and service operations and intelligence staffs to coordinate operations and to resolve competition for ISR resources. JFCC-ISR monitors the execution of planned ISR activities. JFCC-ISR generates an ISR Global Situation Awareness display and shares data from that display with appropriate entities. As data is collected and becomes usable, JFCC-ISR ensures its availability to the widest body of operators, planners and analytic organizations. JFCC-ISR evaluates collected data and recommends adjustments to plans or other actions to improve collection results. JFCC-ISR plans, executes and integrates ISR activities in support of USSTRATCOM's strategic and global missions. The JFCC-ISR AOI extends worldwide, from underwater to space and overlays, but does not affect other areas of responsibilities assigned to combatant commands. This AOI includes the full spectrum of military needs, including transnational threats, Weapons of Mass Destruction and the Global War on Terror. This article is issued from Wikipedia - version of the 12/16/2015. The text is available under the Creative Commons Attribution/Share Alike but additional terms may apply for the media files.